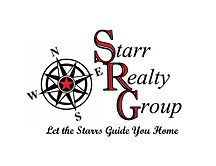 Starr Realty Group, a division of Keller Williams Realty, is based out of Simsbury, CT and serves all of Connecticut and South Central Massachusetts. Starr Realty Group has been named the #2 team for total homes sold in Simsbury in 2011 and currently within the top 1 percent of all agents in Hartford County. Starr Realty Group is also Simsbury’s #1 real estate team of the year! Starr Realty group was recently rated among the top 7 percent of real estate professionals nation-wide as a FIVE STAR real estate professional for 2013. Founded by owner/CEO Jessica Starr, the team’s mission is to offer a variety of highly specialized real estate services performed by the most accommodating, sincere and knowledgeable professionals. Our Mission: To ensure integrity, reliability and trust making each and every transaction as simple and enjoyable as possible.